We’ve been working on this for quite a while, and finally it is ready. We cannot hide the excitement behind it because everyone who’s been involved in spreading the word for Invoicebus, will finally get a chance to receive a “proper thanks” from us. For example, if a referred user signs-up for a free trial (no credit card required) you receive $5. If they later decide to purchase a plan, you receive additional $50. Sounds interesting? Apply now! We pay you each time a referred user signs up and/or purchases a paying plan. 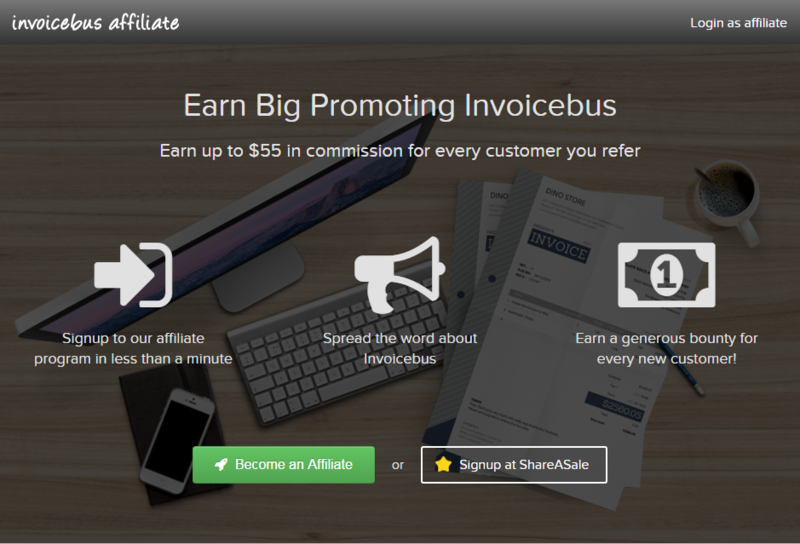 Given the fact that Invoicebus is a powerful, yet affordable product, you’ll have the chance to earn big without being too pushy. Who’s in charge for the affiliate program? In order to provide a top-notch affiliate program, we teamed up with AM Navigator, a leading affiliate management company run by Geno Prussakov. With over 15 years of experience in digital marketing, AM Navigator has worked with hundreds of companies from Forbes, Skype, ForexClub to smaller businesses to build, manage, and grow their online presence. We feel really privileged to have the chance to work with these guys. Geno and his team will be helping us to create a sustainable affiliate network which should take Invoicebus to new heights. Like with anything else in startups, we believe there will blood, sweat, and tears during this affiliate journey. Awesome or awful, we’ll be sharing everything along the way on this blog. Stay tuned and we’ll keep you posted. Promise!